Lemmy is an example of the kinds of women who are transforming their lives, through the “Women Empowered” program. She is a 51-year-old mother from Tanzania who is often seen smiling and laughing, but she hasn’t lived an easy life. Lemmy and her husband had nine children. She earned a living as a tailor and farmer while her husband worked at a small shop selling household goods. They lost a teenage daughter to a sudden case of malaria, and later Lemmy lost her husband to diabetes – leaving her alone with the remaining eight children. Even though she inherited some cows and goats after her husband passed away, she lost most of them to a series of misfortunes. Despite the adversity, Lemmy fought to support her children and prioritized their education. Any money that Lemmy earned from her tailoring business went directly to supporting her children’s education. After some time, she and other women joined a local “Women Empowered” program and start saving money together. This is when her life began to change. 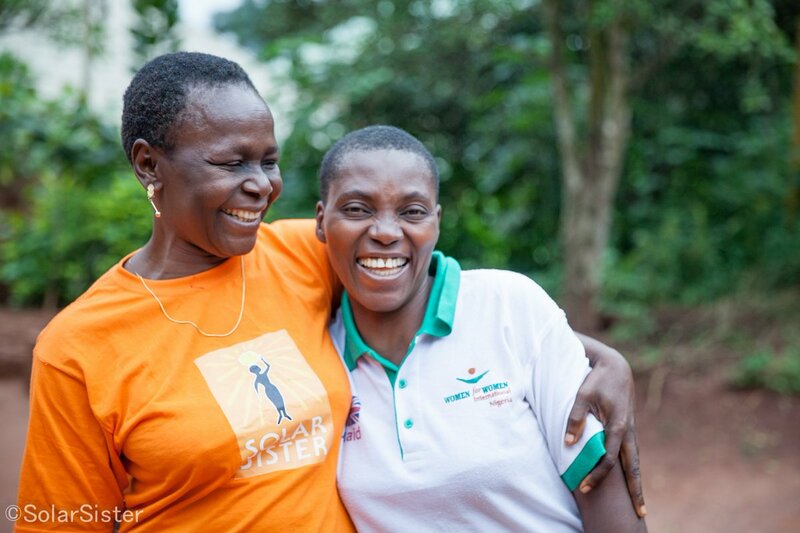 Lemmy’s WE group is called Tumaini –“Hope” – and it helped her to gain access to small loans to support her children’s education and generate more income. Now, Lemmy oversees eight WE groups and helps monitor and support their group activities. She is also involved with Solar Sister, one of PCI’s partners, and works as an entrepreneur to sell and promote the use of solar products. Lemmy attributes much of her ability to push on and support her children’s education to being in the Women Empowered program. She continues to encourage local women and men to join groups and gain access to the economic, social, and emotional benefits. Investing in women is about so much more than investing in one person at a time. It’s an investment that improves the lives of children, families, and whole communities. Help us continue to empower women by making a donation today. …sharing more updates about the Women United for Change program and more success stories from the women you are supporting!